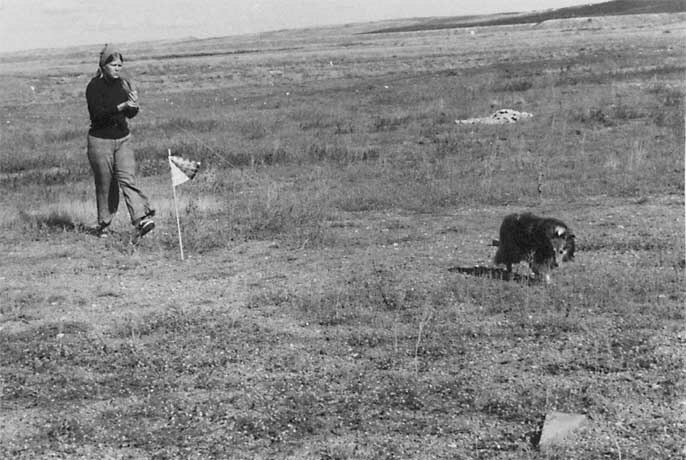 Although she never earned her TD, Clancey loved to track and was a pretty good tracker. I got together with another Sheltie fancier in town, and we laid tracks for each other's dogs. 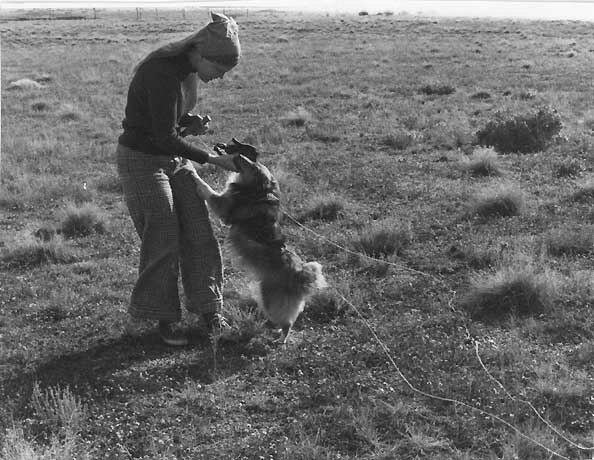 Neither of us had any good idea how to teach a dog to track, and it's remarkable that Clancey worked as well as she did. 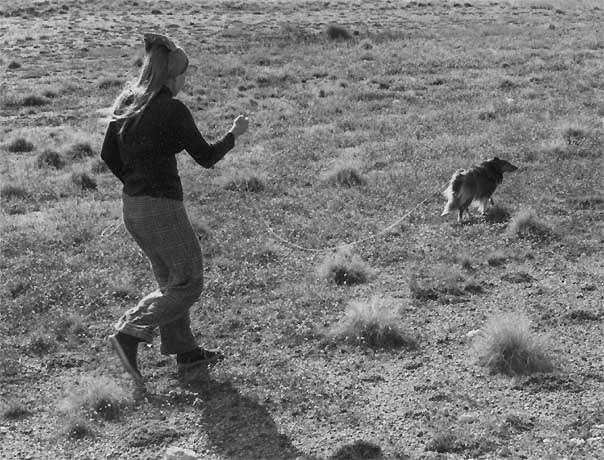 This is the entire set of photos that my husband took in about 1975, most of which appear in the first and second editions of Sheltie Talk. 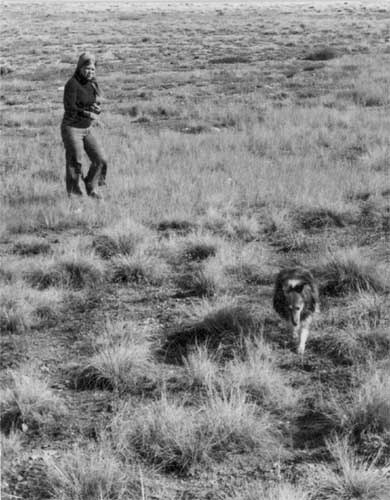 Photo 1: Handler Alicia directs Clancey to the start of the track, where she sniffs to pick up the scent. In recent years, a scented article is placed at the beginning of the track. 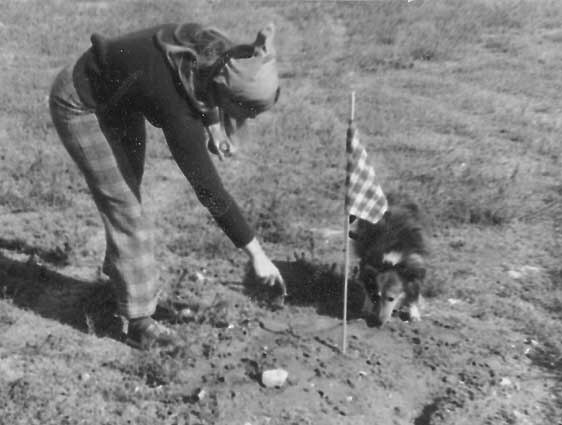 At the time Clancey was tracking, the dog picked up the scent from the ground at the start flag. Photo 2: Clancey takes off, following the scent trail down the track. 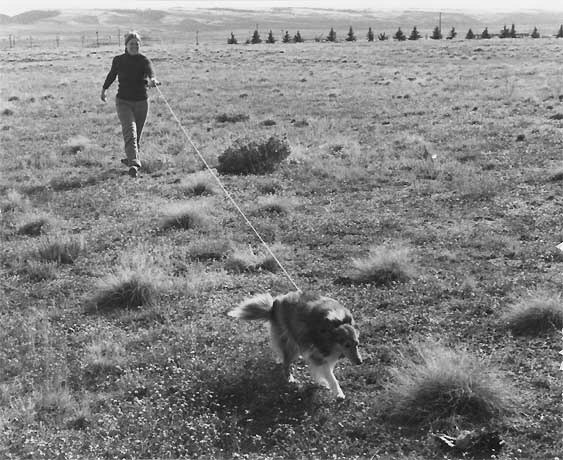 Photo 3: Clancey pulls along the track, following the scent trail. Photo 4: Clancey's head comes up as she runs out of scent at the first turn. Her head is turned to the right, which is the direction of the next leg of the track. Photo 5: Having committed herself to the new direction, she starts pulling along the next leg of the track. 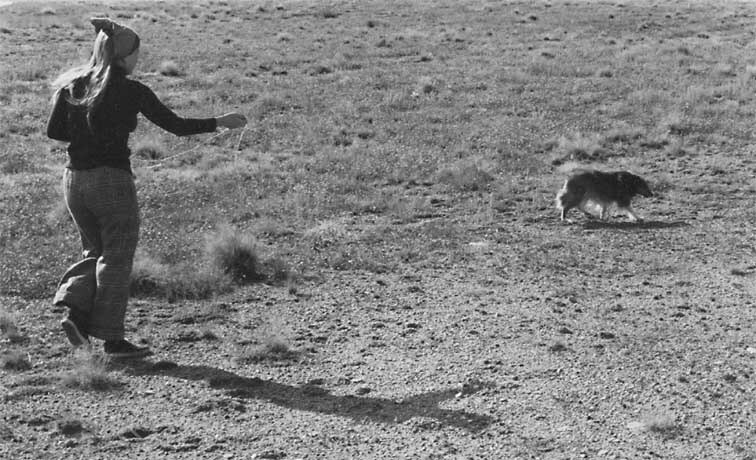 Photo 6: Clancey catches the scent and sight of the glove at the end of the track, and pulls toward it with determination. Photo 7: Clancey has picked up the glove and given it to Alicia. Lots of glove-chasing games after this good find.